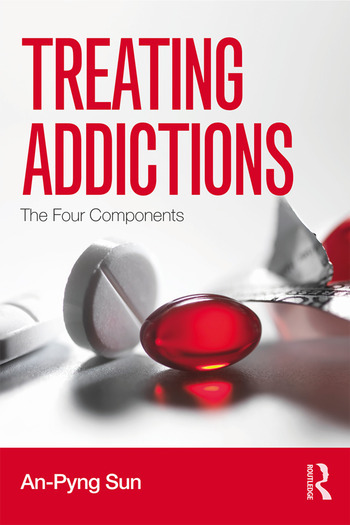 Treating Addictions: The Four Components offers a unique and coherent understanding of addiction. The book begins with a chapter discussing the framework of addiction and the four essential components of treatments—the fundamentals of addiction, co-occurring disorders, quality of life, and macro factors—and subsequent chapters elaborate on each component. Most currently available addiction treatment books present knowledge and skills in separate chapters and fail to integrate all chapters within a single framework that can weave all concepts into a meaningful tapestry. Using a unified framework, this book offers students a comprehensive skill set for treating addictions. An-Pyng Sun, PhD, is a licensed clinical social worker (LCSW) and a licensed clinical alcohol and drug counselor (LCADC). She is Professor of Social Work at University of Nevada Las Vegas (UNLV). Dr. Sun specializes in addiction treatments; her research and teaching at UNLV focus on addiction treatments, multicultural practice, and research methods.